Tolerance can take the offense out of a debate and instil respect, Reserve Bank of India Governor Raghuram Rajan said on Saturday, adding India has always protected debate and the right to hold different views. Mumbai: Tolerance can take the offense out of a debate and instil respect, Reserve Bank of India Governor Raghuram Rajan said on Saturday, adding India has always protected debate and the right to hold different views. "Tolerance can take the offense out of a debate, and indeed instil respect. If I go berserk every time a particular button is pressed, rebels are tempted to press the button, while mischief-makers indeed do so," Rajan said while addressing the IIT-Delhi Convocation here. 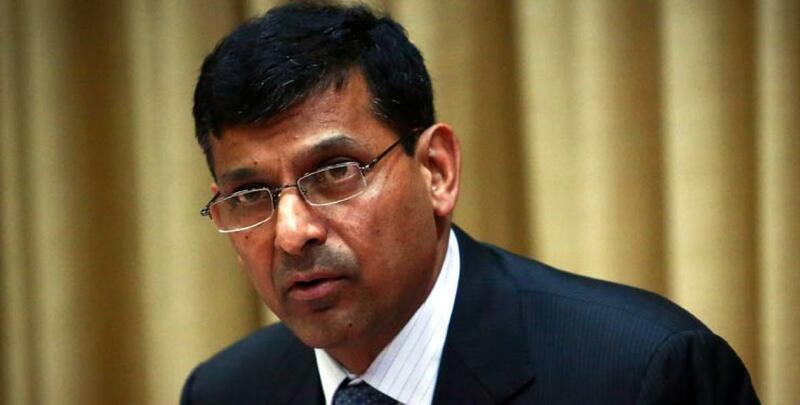 "Fortunately, India has always protected debate and the right to have different views," Rajan said, a day after Moody's Analytics in a report said the belligerent provocation of various Indian minorities has raised ethnic tensions. "But if I do not react predictably, and instead ask button pressers to explain their concerns, rebels are forced to do the hard work of marshalling arguments. So, rebels do not press the button frivolously, while the mischief makers who abound in every group are left without an easy trigger." He added that tolerance and respect then lead to a good equilibrium where they reinforce each other. "After all, any ban, and certainly any vigilante acts to enforce it, may offend you as much, or more, than the offense to me. Excessive political correctness stifles progress as much as excessive license and disrespect." "Tolerance means not being so insecure about one's ideas that one cannot subject them to challenge - it implies a degree of detachment that is absolutely necessary for mature debate," the RBI governor said. In the report titled `India Outlook: Searching for Potential', Moody's Analytics, a division of Moody's Corporation, said: "Along with a possible increase in violence, the government will face stiffer opposition in the upper house as debate turns away from economic policy." Moody's Analytics said the politics need to improve and the government's reform agenda needs attention to achieve long-term growth. Rajan said on Saturday: "Indeed, if what you do offends me but does not harm me otherwise, there should be a very high bar for prohibiting your act. After all, any ban, and certainly any vigilante acts to enforce it, may offend you as much, or more, than the offense to me. Excessive political correctness stifles progress as much as excessive license and disrespect." He said no one should be allowed to offer unquestioned pronouncements. Without this competition for ideas, we have stagnation. "This then leads to a second essential: Protection, not of specific ideas and traditions, but the right to question and challenge, the right to behave differently so long as it does not hurt others seriously," Rajan added. While talking about economic growth, citing economist Robert Solow, Rajan said bulk of economic growth did not come from putting more factors of production such as labour and capital to work. "Instead, it came from putting those factors of production together more cleverly, that is, from what he called total factor productivity growth." "Put differently, new ideas, new methods of production, better logistics - these are what lead to sustained economic growth." "Of course, a poor country like ours can grow for some time by putting more people to work, by moving them from low productivity agriculture to higher value added industry or services, and by giving them better tools to do their jobs. We in India are usually far from the production possibility frontier, so we can grow for a long while just by catching up with the methods of industrial countries," he added.